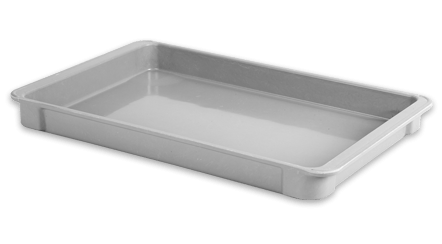 MFG Tray storage containers are available in a wide variety of sizes to accommodate an array of applications. Operating temperature range of -60° to 250° F (-51° to 121° C) ensures their compatibility for various preparation, refrigeration and freezing operations. Inherent strength and dimensional stability eliminates sagging or bending and ensures safe stacking under heavy loads. 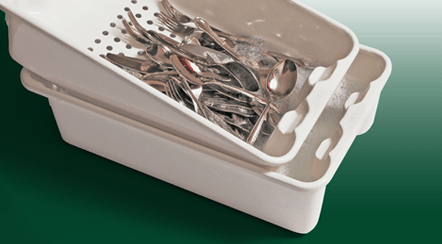 MFG Tray Nest and Stack containers can be stacked when full and, with a simple 180-degree turn, nested when empty. Bottom drain holes and lids for can be added product protection. Optional dollies easily accept stacked containers and facilitate movement throughout the work area. 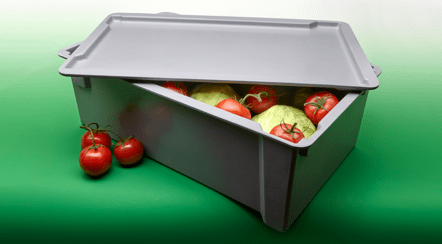 MFG Tray Stacking Boxes provide optimal product protection with exceptional weight-carrying capability. They will not bend or sag under heavy loads and can be readily integrated into automated applications. Stacking containers ensure optimum space utilization and may be used to form mobile work stations. 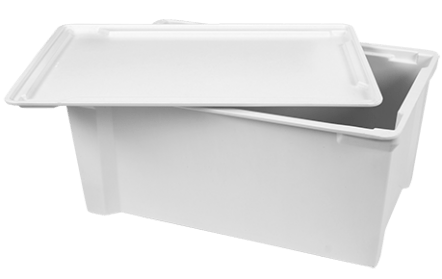 Optional lids are available for added product protection. 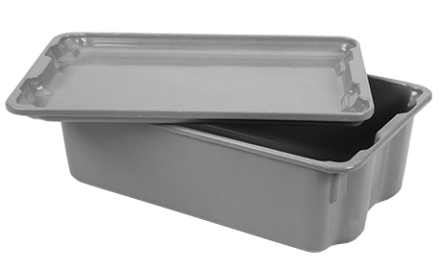 MFG Tray Nesting boxes nest when empty and stack on lids when full, and are ideal for handling small items. Their smooth surface resists stains, won’t absorb odors and can be easily cleaned in standard or commercial washers.